Miami's Best, Fastest, Biggest	Delivery Company. Partner with Knock Knock to obtain the new way to earn money that is increasing by 12% per year. Do not miss the opportunity to go hand in hand with the best delivery company in Miami. Together we can increase your sales without cutting your profits with high percentages, keeping operations simple and impressing your customers. 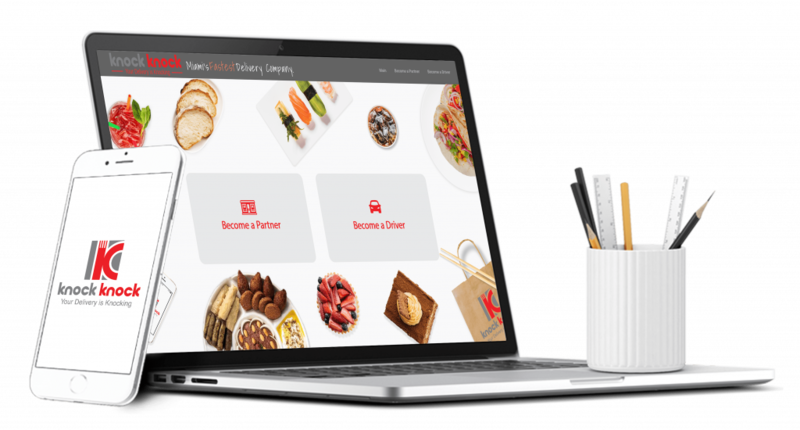 Deliver with Knock Knock and earn money in your schedule. Depending on the area, you could make deliveries with your car, bicycle or scooter. Our clients love our service, and they give us the highest tips in the city. All your delivery needs in one app! Have a favorite restaurant and does not deliver where you are? Recommend our outstanding service. We have plenty of cusines available for you, give your guest an unforgettable experience. Lets get started.